Designed by Alvar Aalto in 1953, his modern vision allowed him to create light fixtures that look like works of art. The hand-riveted shade is made from louvered steel and painted white to give the piece a clean, fresh look. 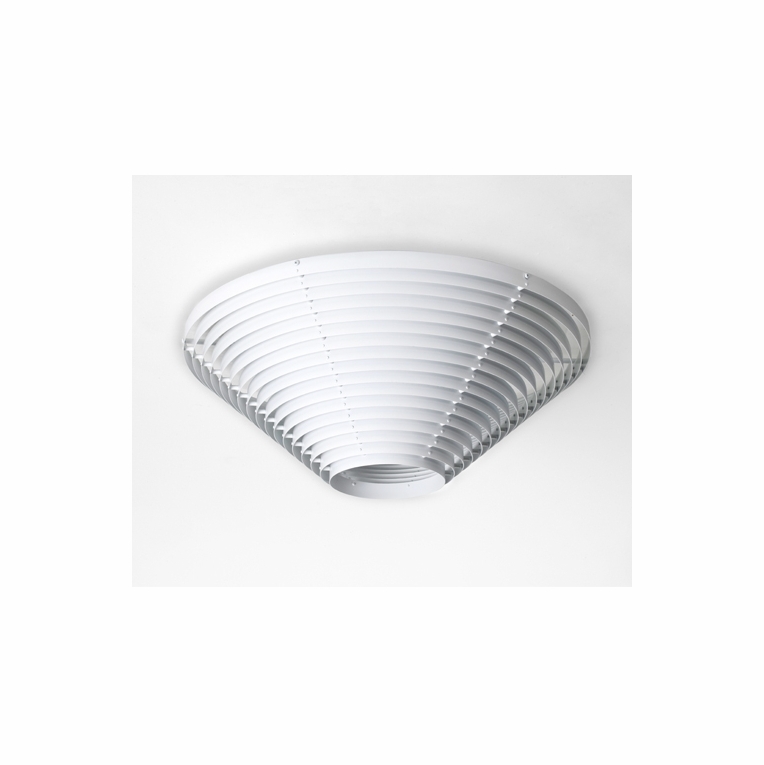 Mounted directly to the ceiling, the inverted cone shape allows light to radiate from center opening and from small slats on the sides, filling any room with an illuminating glow.Please review our Shipping Information page before ordering. Payment: 50% will be charged at time of order, remainder will be charged at time of shipment.